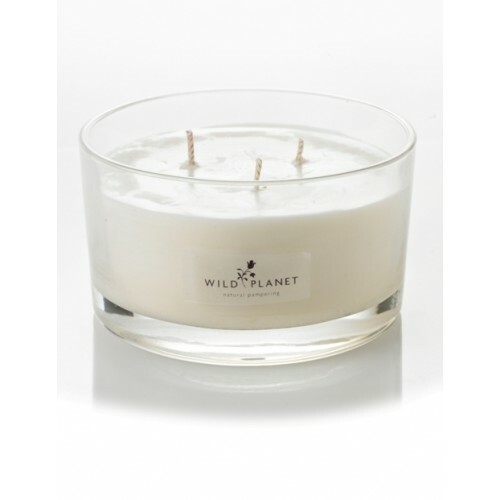 Natural soy wax candle with three lead-free cotton wicks and a burn time of 50 hours minimum. Presented in a natural coloured gift box with Wild Planet's signature ribbon. Glass tub individually hand wrapped with tissue paper encased in a natural coloured rigid two piece box.